View your results. The default order is alphabetical according to the first name. However, you can change the order of the results by clicking on a heading and sort that column in ascending or descending order. The profile picture and the name are linked to the profile page of the user. 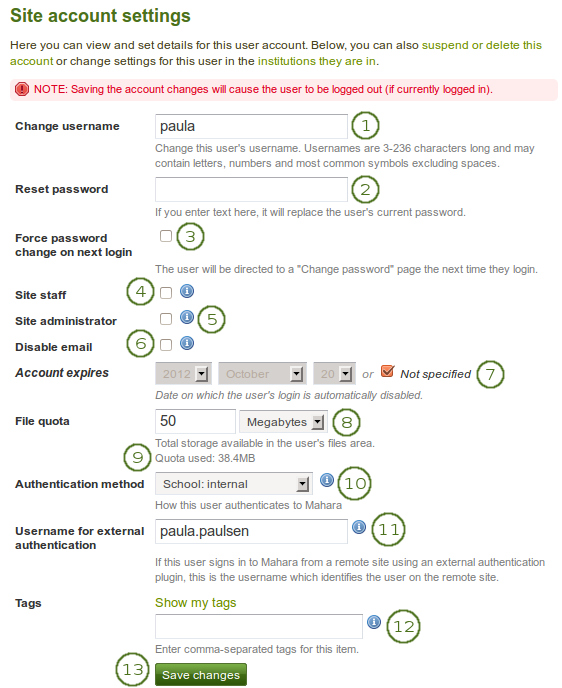 Once you have selected users for whom you wish to perform the same action on the User search page and clicked the Edit button, you can take any of the following steps. 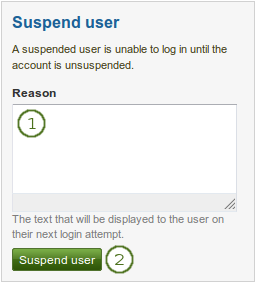 Reason: Provide a reason for suspending the users listed on this page. You need to click the Suspend button in order to suspend the users. 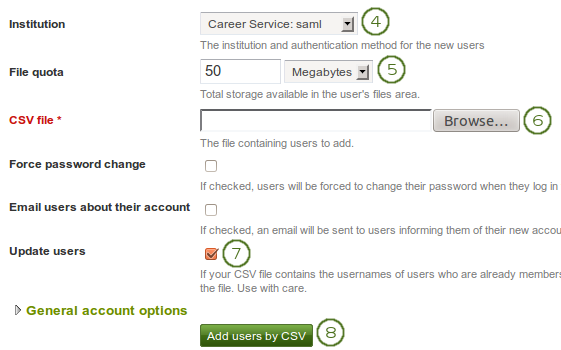 Selected users: You can then review the user information that will be included in the CSV file. 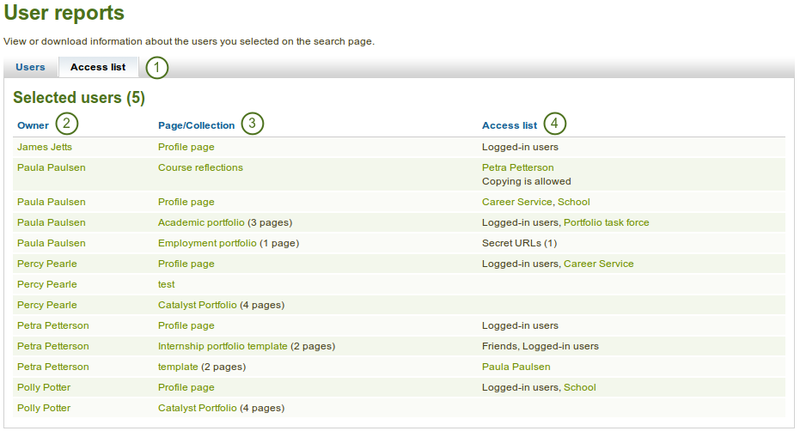 Click the Access list tab on the User reports page. 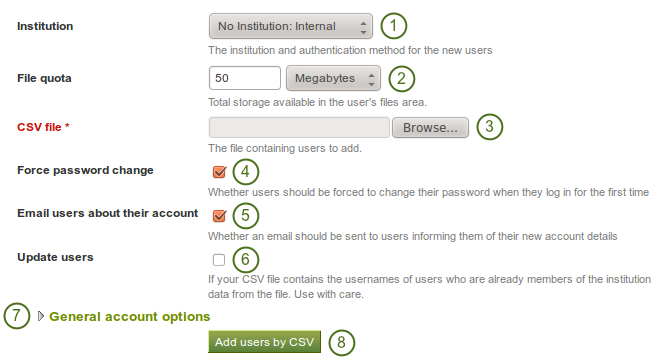 The Masquerading sessions can be accessed via their own tab in the User reports. 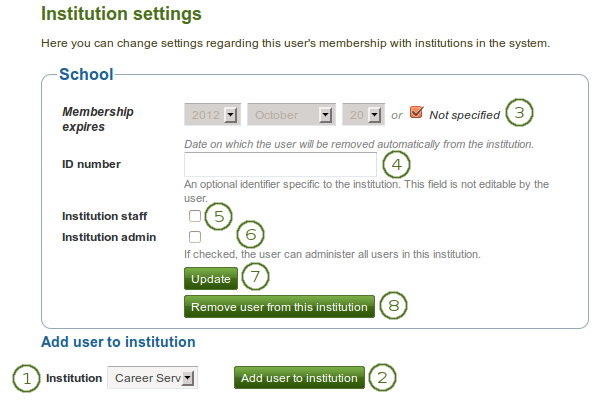 Membership expires: If you wish, specify the date when the user will be removed from this institution automatically. 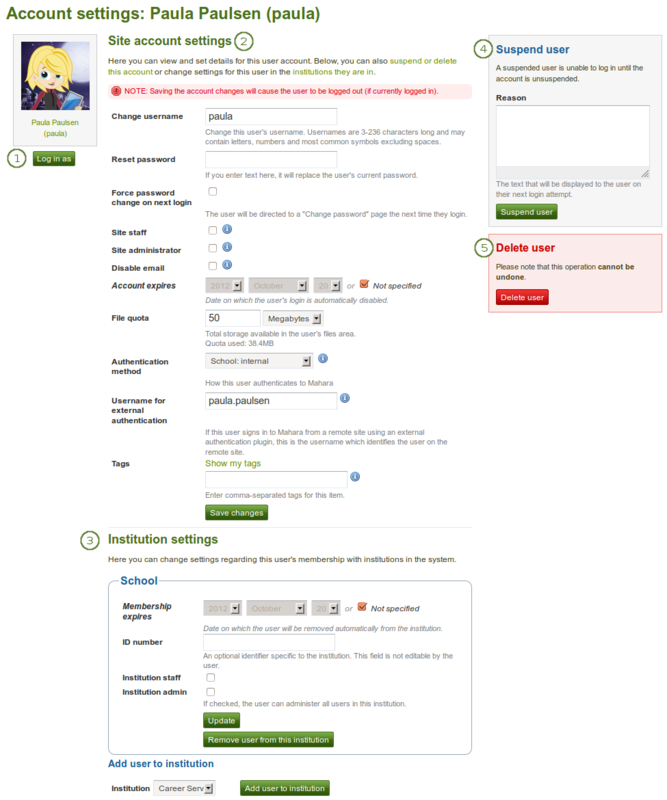 If you click the “Not specified” check box, no end date will be set. The date displayed in the greyed out date boxes is always the current one when “Not specified” is chosen.